Site selection can be a challenge and is crucial to the success of your trial. At CRN, we believe that providing sponsors with valuable and quality service is the key to their success. We do this by providing you with something that no other network can offer – one budget, one contract and one point of contact to quickly and efficiently enroll your trial, get it up and running and effectively manage its completion. Your success is in our hands. We have fostered a level of trust and respect in the industry that is unparalleled. While other networks attempt to match our success, CRN is the industry benchmark and we take that responsibility seriously. But we do not rest on our laurels at CRN. We strive to continuously set the benchmark higher and are constantly looking for ways to improve the network to better meet the needs of our partners. What Value Does CRN Provide? Since 2001, CRN has worked with many different sponsors and conducted over 150 studies. Our ability to enroll and retain qualified patients speaks for itself. CRN has a proven record of reducing start up time and costs, accelerated site selection and enrollment and providing sponsors with a centralized budget and contract and one point of contact. Each of our 40+ (and growing!) 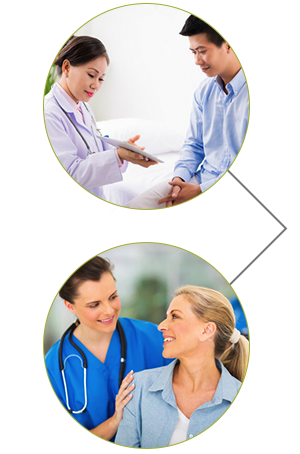 high quality network sites are staffed by board certified physicians, certified investigators and coordinators. Each is site administered by CRN’s National Leadership assuring consistency, reliability and quality. The Value of working with CRN is we provide sponsors with cost-effective, reliable and efficient study completion.